Bradford City have promoted under-18s boss Michael Collins to the role of head coach, his first senior position. The 32-year-old becomes the youngest manager in the top four divisions of English football and succeeds Simon Grayson, who left the club in May. Former Huddersfield midfielder Collins played for Scunthorpe, Oxford United, Leyton Orient and Indian side Bengaluru during his playing career. “I’ve been working towards this for a lot of years now,” said Collins. Greg Abbott and Martin Drury have been named as his assistants and all three have agreed to three-year contracts with the League One side. “Michael and Martin are both talented British coaches, who posses a lot of potential,” City co-owner Edin Rahic told the club website. Rahic added: “Over the past few weeks, Greg, Michael, and Martin have also been actively involved in our player recruitment. At 32 years old Collins is three years younger than the next youngest manager in English football – Fleetwood Town manager Joey Barton. He is the youngest person to get a manager’s job since current Bristol City boss Lee Johnson was appointed by Oldham aged 31 in 2013. 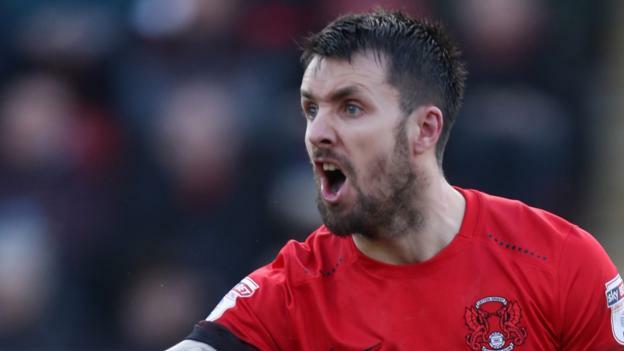 Having retired to concentrate on coaching, Collins returned to playing last December with National League side FC Halifax, making 22 appearances. But he said he had learned a lot from his time as a youth coach at Bradford, which began in July last year. “We’ve all been fortunate enough to have had the chance to observe the previous managers at the club and we’ve seen first-hand the way that they worked. We can take a lot of positives from what we’ve seen over the last two years,” he said.